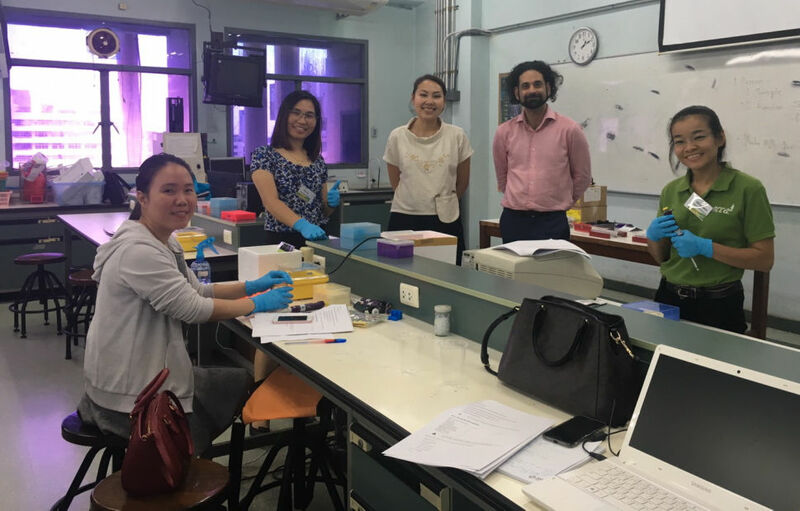 We are proud to announce the second genomics workshop for Asia Pacific! 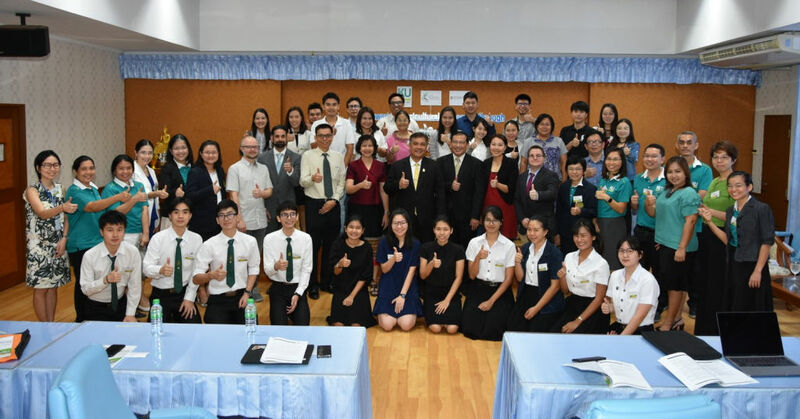 Supported by the Australian Government (Ministry for Industry, Science and Technology) and held at the North Bangkok campus of the prestigious Kasetsart University, Empowering agricultural research through (meta)genomics will be held in Bangkok on the 25-28th June 2019. 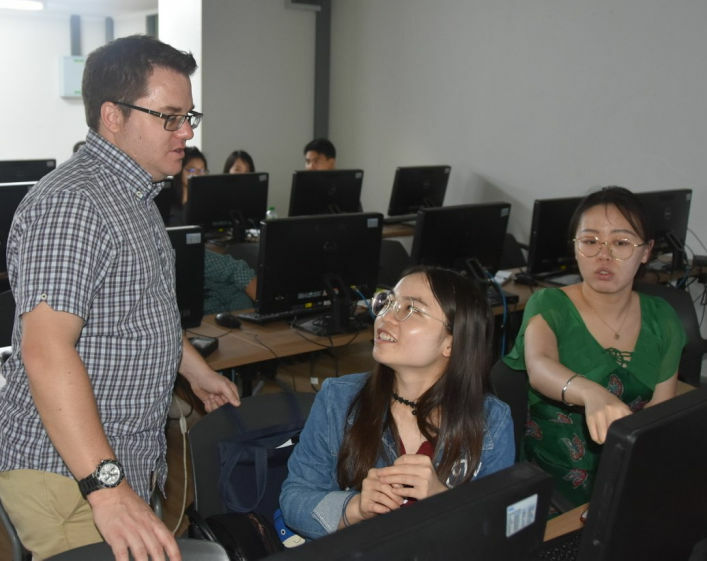 This advanced workshop follows our unique format of combining wet-laboratory techniques with scientific exploration and bioinformatics analysis. We also stream biologists and bioinformaticians so they can learn with their peers and focus on furthering their own expertise. We start with a Research Seminar day (Prof Roger Hellens – amongst other accomplishments, of Golden Kiwi fame - providing the plenary) and early bird participants can request to submit an oral or poster presentation. You can view a tentative program here (subject to change as numbers are confirmed). Genomics is interdisciplinary. We are unlike any other course: we don't teach what you can learn by yourself. We help with your soft skills so that you can communicate effectively with peers and team members alike. Project design is critical for genomics. During the course we use real data to show you how genomic research can solve real problems. On the last day, you show us what you've learned: Your team and you get to undertake a project design to solve a realistic problem that an industry may be facing. We focus on Illumina (and PacBio), a tried and affordable technology for genomics, because we want to facilitate large scale experiments. We use online best practice tools that implement reproducibility and notetaking: we teach you the best practices for genomics but the choice is yours! Biologists learn with biologists and computational scientists with computational scientists! We don't teach you to become an expert in both but an expert in your field. 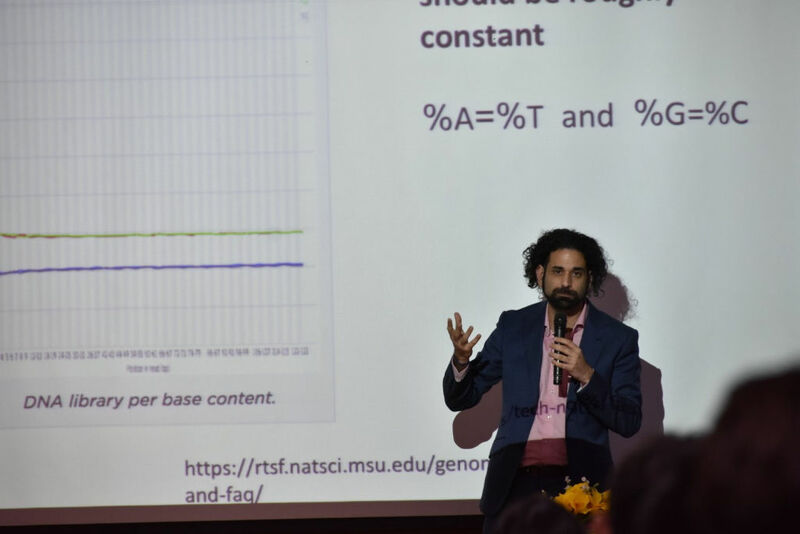 Biologists focus on interpreting results from bioinformatic software, understanding the power and caveats of bioinformatics analysis, and explaining to bioinformaticians what they want. Coders learn how to explore the parameter space, selecting biologically meaningful results, and communicating their findings. 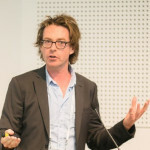 Roger is the Deputy Executive Director of the Institute for Future Environments of Queensland University of Technology. His career has included 14 years of working at Plant & Food Research (HortResearch) of the New Zealand government where he led a team of scientists that gave us the Golden Kiwi. 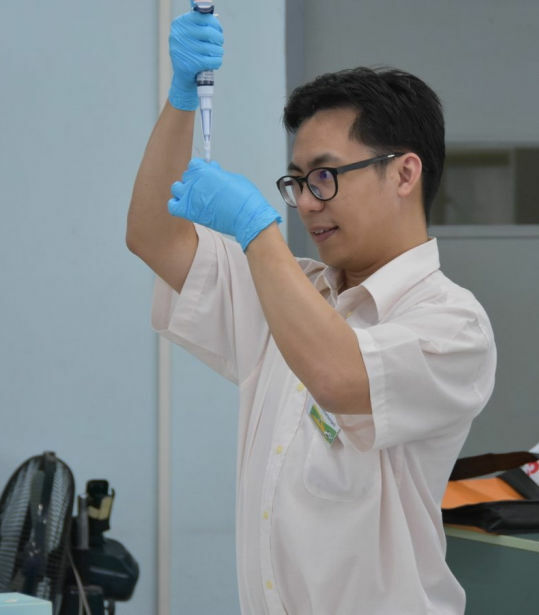 Arinthip is a microbial genomicist and vice-dean of the Faculty of Sciences (Kasetsart University). Her research focuses on endophytic actinomycete and their interactions with their plant hosts. 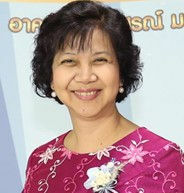 Passorn is a computational biologist in the faculty of Sciences. 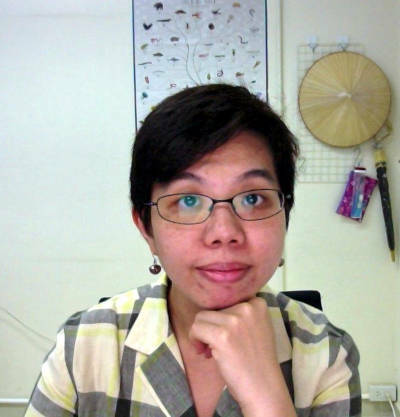 Her work focuses on mitochondrial genetics: new models of mtDNA heteroplasmy inheritance, the evolution of social amoebas, fireflies, and studying the evolution of pig through bones found in archeological sites. 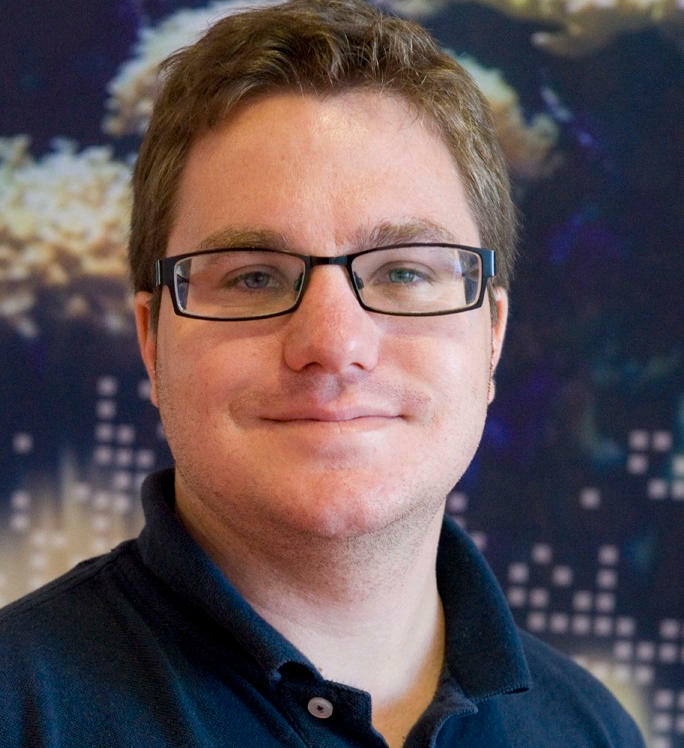 Tom is a Lecturer in Microbial Ecology at Western Sydney University with more than a decade of expertise in the genomics and biodiversity of viruses and bacteria. 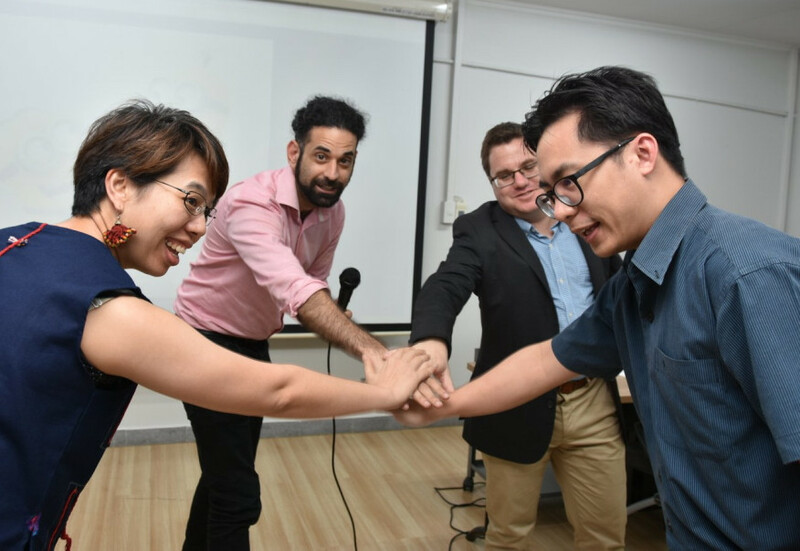 He co-chairs Sydney's Joint Academic Microbial Seminars and leads efforts in establishing microbial research seminars in other cities. 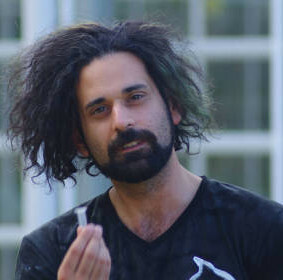 Aaron is a computational biologist from the i3 research institute of the University of Technology Sydney. He has many claims to fame not least the Mauve aligner, a citation number in the 5 digit citations by the age of 35, and a scientific interest with his child's microbiome. 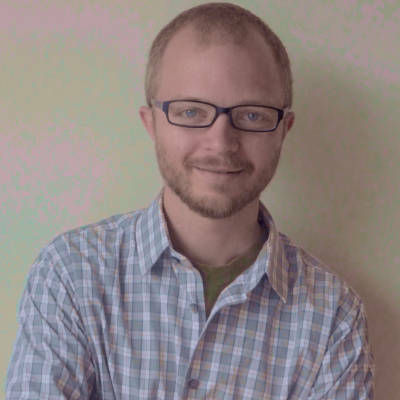 His current work includes developing new molecular protocols for capturing microbial biodiversity, statistical bioinformatics methods to exploring the structure, function, and evolution of natural microbial communities with applications as diverse as pet foods and pig antibiotic resistance. Kay is the Next Generation Sequencing facility manager for the University of Technology Sydney. After a career as a molecular entomologist, Kay is working with Aaron on creating new protocols for biodiversity assessment and running the NGS facility. Since her PhD, Kay has been extensively involved in creating and analysing NGS data. Her expertise includes creating Next Generation Sequencing libraries (RNA, DNA, and amplicon) using both commercial kits and custom methods she develops. She has hand-on experience working with sequencing instruments including 454 Roche sequencing, Illumina MiSeq and HiSeq2500. Alexie is an Assistant Professor / Senior Lecturer in Bioinformatics from the Hawkesbury Institute for the Environment (Western Sydney University); he is a computational genomicist who works (mainly) on insect genomics. He assembled and annotated multiple insect genomes (published in Nature, Molecular Ecology, Genome Biology, Nature Ecology and Evolution, and others). He led the i5k manual curation team which designed the first protocols and workflows for genome annotation and curation. Thanks to these organisations, we have been able to keep the registration affordable for early career researchers and the majority of labs. Early bird registration has now expired. The new fees are 325 AUD and registrations are reviewed before being allowed on a first come, first served basis. This covers the attendance of the hands-on workshop (Wed-Fri) and the Research Seminar day (Tuesday). 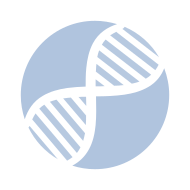 All registrants can also become members of the Gene School (for free), allowing them for access to the online material and discounts to future workshops. 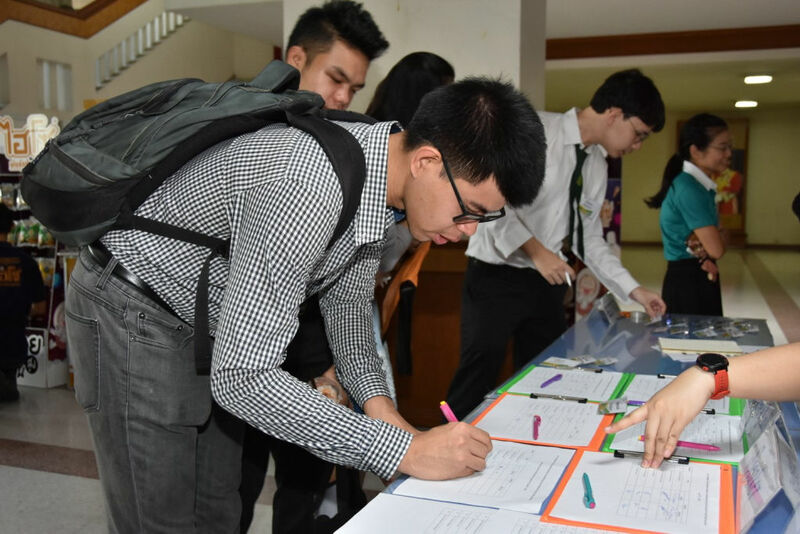 NB: early bird registrants will be the only ones considered for presenting in the research seminar day. 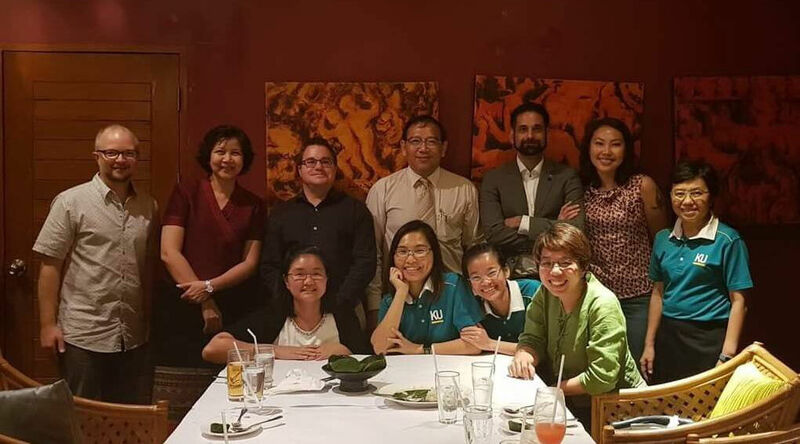 This is a unique opportunity to showcase your research in front of an international audience and make connections with scientists from the region. So do book early. We will select those we think are most suitable for the event based on abstracts we request in May. If you are not selected - or don't want to give a talk - you will be encouraged to present a poster. 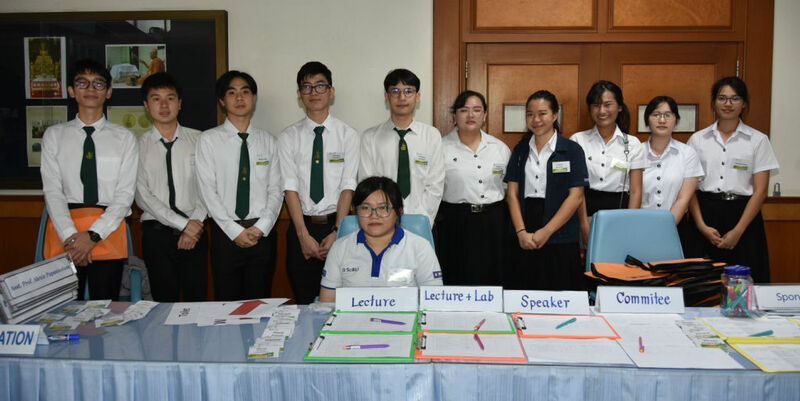 Registration for Thai nationals is handled by the Kasetsart University (contact us if you don't have the details), all other nationals can register either by requesting an invoice or using PayPal (no PayPal account is needed, supports credit cards, bank accounts). Please note, registrations are not confirmed until accounts are paid in full. Cancellations: 0 % fee (except any Paypal costs) for cancellations until the 25th of January. A 25 % fee for cancellations applies after that and before the 15th of April. No cancellations allowed after the 15th of April. We recommend you find suitable accommodation and book directly. Our preferred provider is KU Home which is located 5 minutes walk from our workshop venue. Their rates are about 50 AUD/38 USD per room per night with an asian style (i.e. a lot of yummy food) buffet breakfast available. We can help you find roommates if you wish. An alternative, slightly pricier, accommodation provider is here, is nearby, and owned/managed by the non-profit RECOFTC (Centre for People and Forests), please contact dormitory@recoftc.org if you wish to book there. Please note Bangkok is notorious for its traffic so we don't recommend any venues further than walking distance (also be mindful, June in Thailand is quite humid). Accommodation at KU Home and elsewhere can be booked via Booking.com, Expedia, etc. 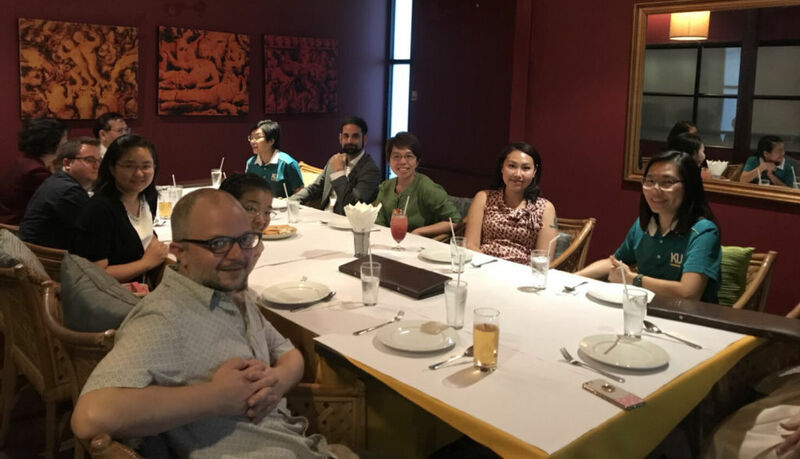 Teaching metagenomic biodiversity analysis: participants included PhD students, post-docs, and faculty. 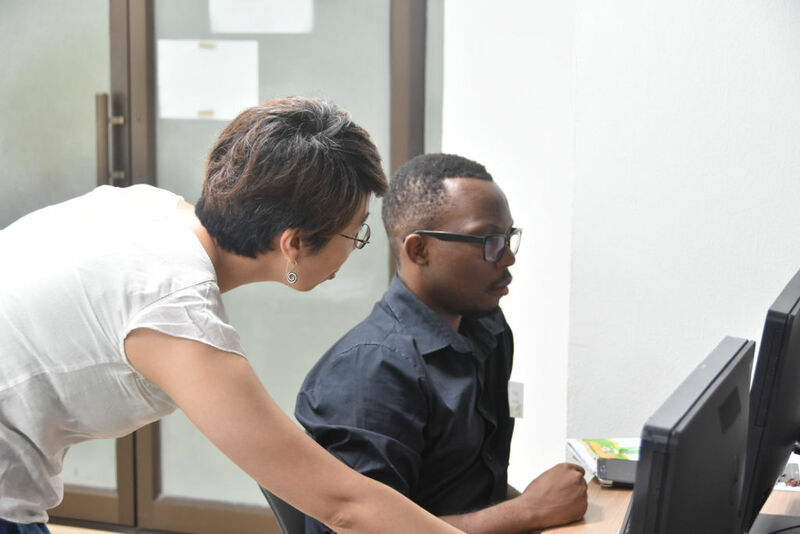 One-one help for when you're stuck: Dr Passorn Wonnapinij with one of our post-doc students. Dr Tom Jeffries explaining ecological statistics. Dr Alexie Papanicolaou explaining why some NGS experiments go haywire before the analysis even starts. 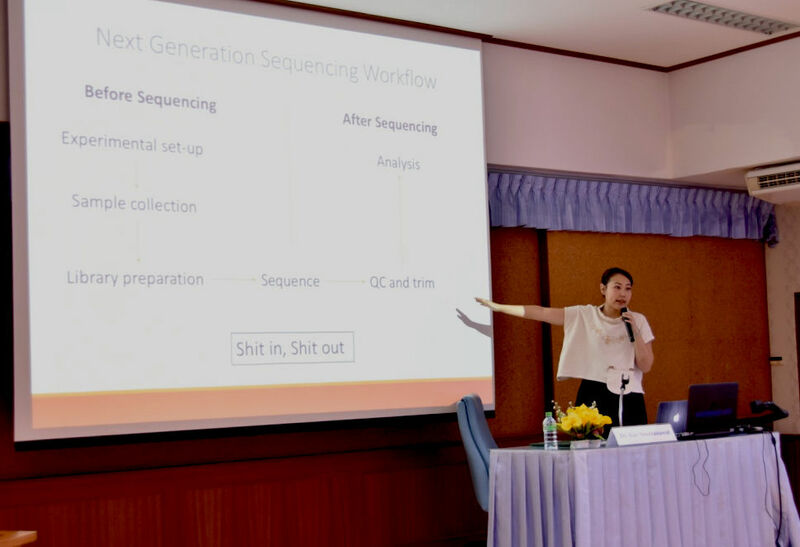 Dr Kay Anantanawat reminding on NGS workflows (junk in, junk out). Our first day is always a research seminar with speakers from the region. Here the speakers with the audience. Our wonderful undegraduate assistants that makes everything possible. Our organising committee, maybe you'd like to join us?